Over the past several weeks, I have spoken to a number of CEOs regarding what is arguably the most challenging aspect of the retail business: Pricing. Regardless of their experience or perspective – specialty /vertically integrated retail, department store retail or brand manufacturing, the common concern is avoiding the “race to the bottom” on pricing. These retail CEOs all agree that a poorly executed pricing strategy can make the difference between success and failure. 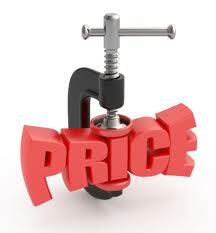 The time is right for new, innovative and more precise methods to determine optimal pricing. With pricing such an important factor in retail organizations, one must ask: “who owns it?” Nikki Baird, Managing Director of RSR Research, reported some of the results of RSR’s 2012 Benchmark Report on Pricing during the panel discussion. RSR found that a full 67% of “laggards” (poorer performing retailers) say pricing is managed by the buyer. Conversely, “winning” retailers are creating a separate pricing function and investing in tools to better manage the process. So how do retailers avoid the “race to the bottom”? How can retailers know what the product is really worth, and what the selling price should be? Greg Girard, program director for merchandising, marketing, and retail analytics at IDC Retail Insights, addressed this issue: “Avoiding the effect any race to the bottom on price has on revenue, margin, and unit sales erosion requires bringing the right products to market and setting their initial price right. These dynamics now put a premium on predictive analytics that complement merchant judgment." Identifying their brand/product differentiation and sticking with it. Understanding the customer “value quotient” – the combination of product desirability and price at which the customer will buy. Setting and maintaining prices based on this value quotient, with 100% authenticity and transparency to the consumer. As many of you know, at First Insight, we offer a solution which enables retailers to identify this value quotient. By applying predictive analytics to real-time consumer data, we help retailers and brands understand the price elasticity of a new product, months before it is launched. We also provide an accurate forecast of the full lifecycle AUR of a new product, as early as the design stage. This is helping designers and merchants make decisions on whether or not to move forward with a new product, and how to establish the promotional approach when the product is introduced. The goal of retail is to sell more goods at full price, and 2013 will be a critical year which I believe will separate the winners from the losers. I look forward to your input and to helping you address the challenges you face moving forward.